As more accounting firms start to take on ownership of their clients’ IT systems, a “layered approach” to cyber security is vital to protecting both the firms' and clients’ data according to one software firm. Yesterday, Malwarebytes released its Second Annual State of Ransomware Report based on a survey of 1,054 companies with no more than 1,000 employees across Australia, North America, France, UK, Germany, and Singapore. 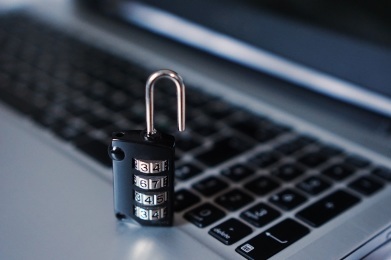 The report found that 22 per cent of Australian businesses that had suffered a ransomware attack had to cease operations immediately and 18 per cent reported they had lost revenue as a result. Of the affected businesses, 20 per cent said the infection caused up to 100 hours of downtime, which was twice the global average recorded by the survey. Malwarebytes ANZ regional director Jim Cook told Accountants Daily that while ransomware doesn’t specifically target accounting firms, a number of firms were included in the companies surveyed. “Accounting firms are certainly high-profile targets for cyber criminals as they often hold the ‘keys’ to the customers’ finance system and other useful information,” Mr Cook said. Some accounting firms are expanding their service offering to include IT and finance services, which increasing the need for firms to ensure their cyber security is up to scratch according to Mr Cook. “A recent trend we have noticed in Australia is that accounting firms are starting to take more ownership of their customers’ IT systems,” he said. Mr Cook emphasised that one source of cyber security is no longer enough, and that firms should also be advocating to their clients to review and update their own systems. “A layered approach to security is the key to protection - both on the user’s PCs and also in the IT network,” he said.